Are you starting your own business? Do you find yourself trapped in clutter in your office? Do you need extra space to stash your work items? Then seriously consider storage as a solution. The business landscape has evolved over the years. Large companies and big-ticket businesses invest in workspaces that are designed with mindful consideration for the employees’ well-being. From open plan workstations to infotainment areas created for rest and relaxation, offices are adapting to the call of the times. However, not all business organizations are as big as these conglomerates that can afford large office areas. There are start-ups and small to medium enterprises that either operate in a small space or convert their homes into working areas to nurture their businesses until it flies off to heights of success. If you can relate to this situation, then you most likely are familiar with the challenges of starting a business, or trying to keep an existing one alive and thriving. Along with the daily operational concerns, you most probably also encounter situations where you wish you had more space. More space to move, more space to work, or more space to entertain clients. Thankfully, there are companies who have come up with a clever solution to give you the space that you crave, without breaking the bank. Modular storage systems have been thoughtfully designed to address your business’ spatial needs. When you have a lot of stock but do not have enough space in your home workshop, a storage module can give you that warehouse space without the whopping corresponding warehouse price. You can opt to store work items like office supplies, seasonal stocks, or unused materials. Even office furniture that you couldn’t resist buying (thinking you can use it for later), can also find itself safely stored in these modules. Whether you are adding office space in your current building or doing renovations, a storage module can reliably house your office items. With your business belongings out of the way, disruption of work can be limited, as you and especially the workers won’t need to weave in and out of your things. The risk of damage is also decreased as you have safely put away these items in storage before any construction mishaps can occur. Accidents can also be prevented as there are less, or no items, lying around for workers to stumble on. Whether you are looking at a short-term or long-term storage rental, you can be assured that your items will remain clean and intact as the day you handed them over. Professional removalists will bring the storage modules in a truck to your place of business. 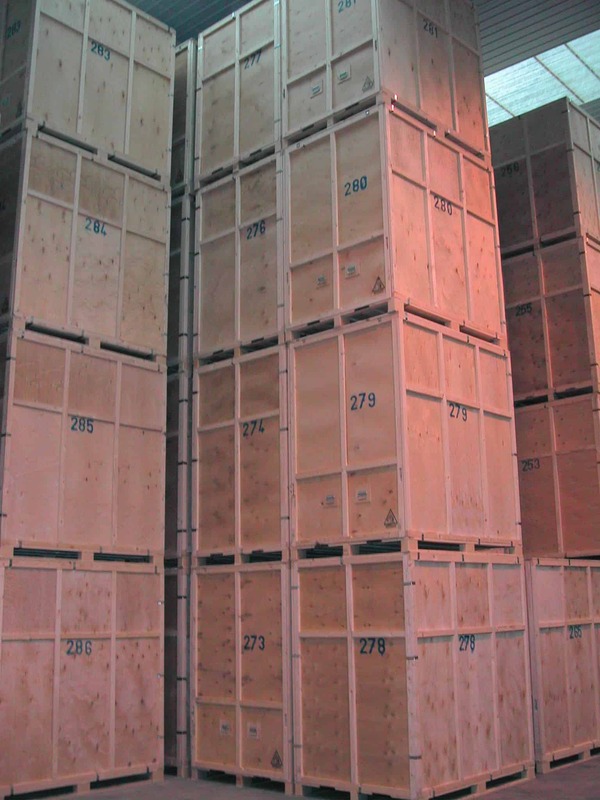 Your items will be loaded directly into the modules, sealed, and transported into a safe and secure storage facility. Double handling is avoided, as a forklift will be the one to place the module in its assigned place in the storage facility. These modules are always kept under cover, so the storage environment ensures that your items are protected from deterioration because they are kept away from mildew, rust, and dust. You can also save money by paying only for the space you use. You don’t need to waste extra dollars by renting warehouse space that you won’t be able to maximise. At the same time, you can also enjoy savings when you buy office items in bulk, because you have that extra space in storage, you can easily store your excess stock or supplies. Lastly, since these clever modules are delivered to you, you won’t need to waste time, money, and energy going to and fro just to deliver your items. Fuel fees are reduced, as well as the possible fees that you will need to spend when your items are damaged in transit, when you personally have to haul them. A cluttered workspace can also affect productivity as you can have too much visual noise. Choosing to streamline your office goods to the bare essentials can help you think clearly and be in a better disposition to work. You also do not have to deal with disorganized areas as you can easily put away items that are unused or not yet needed, giving you more space to move around or even entertain guests and clients. If you find yourself swamped with surplus office items or simply do not want to be confined in tight spaces because of too much clutter, then smart storage solutions can help you get out of that rut. When you opt for your business belongings to be professionally handled by removalists and stored in their safe and secure storage facility, you can be sure that your commercial goods and possessions will be returned to you in the same condition as the day that they were stored in. John Pfeiffer has been the proud owner of Ashtons Removals for over 41 years. His attention to detail, a product of his accountancy background, and his emphasis on training and empowering his team members, has ensured the vast number of Gold Coast families who have been moved by Ashtons Removals, have had their furniture and effects moved undamaged and with minimum fuss.